The Solo® All-Star Backpack Duffel will be the MVP for all your travel needs. Part of the Varsity Collection, this hybrid bag comes with convertible backpack straps which conveniently store away, you can carry this bag on your back or as a duffel. 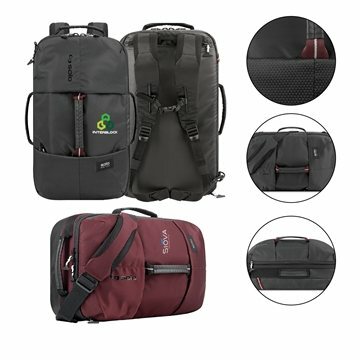 This bag features a large compartment which opens flat. 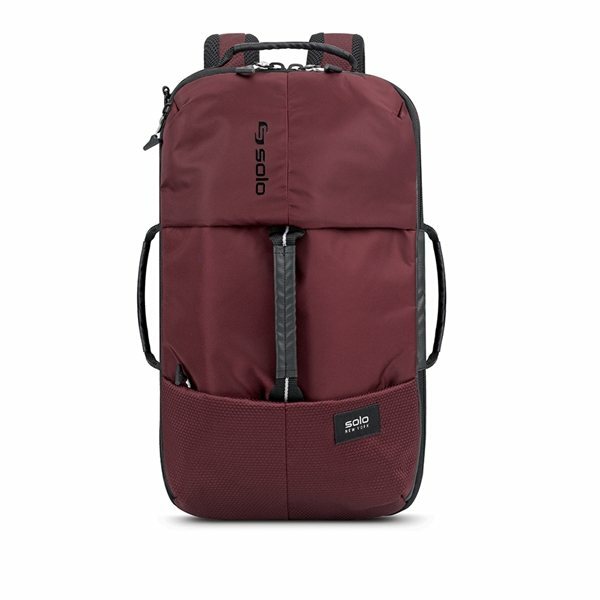 A zipper compartment along the inside cover allows easy storage for a laptop or tablet, and two additional outer zipper pockets allow for essentials to be within easy reach. A separate shoe / laundry compartment with exterior zipper runs along one end of the bag, and the other sides all feature convenient carry handles. Each zipper features a sports pull tag and the lightweight nylon construction makes this bag easy to carry. An adjustable padded shoulder strap attaches to D-rings on either end, allowing for various carrying options. Meets standard airline carry-on requirements.